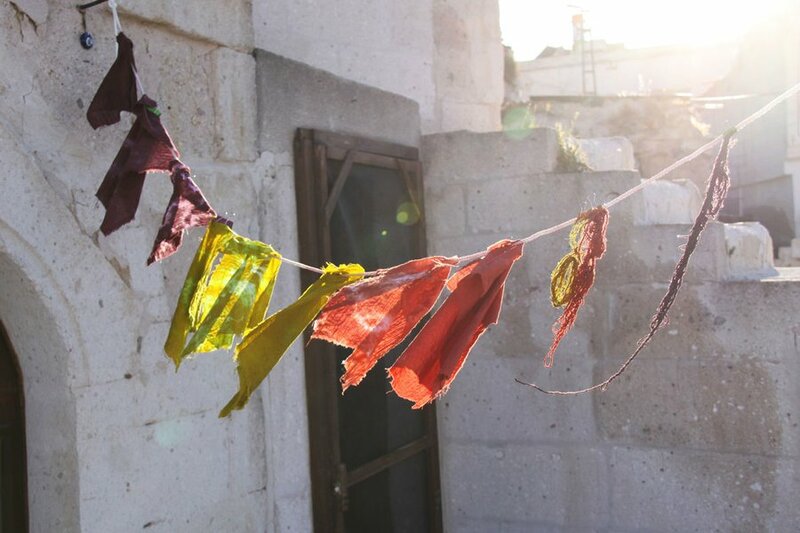 Colors of the craft in Cappadocia. All photos by Summer Moore. 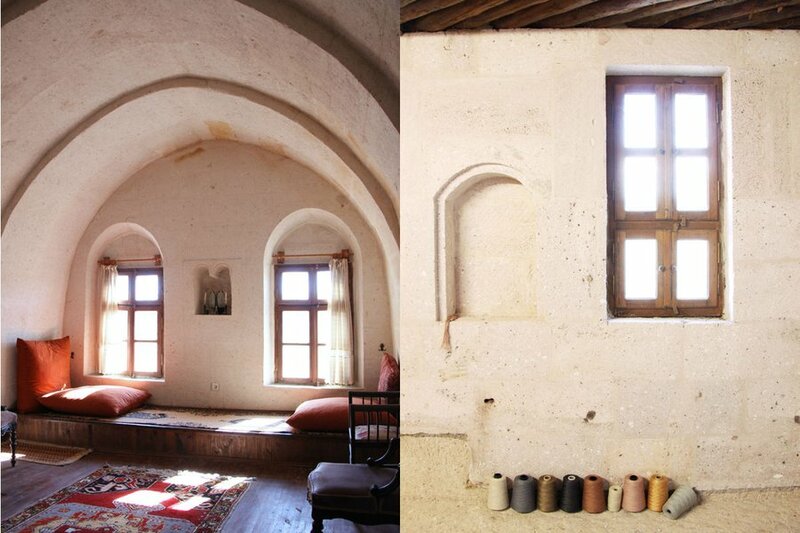 What brought Brooklyn-based textile designer Summer Moore to a small stone house in lunar Cappadocia? In short: an artist residency. In detail: The urge to break the comfort barrier and learn from a new culture. 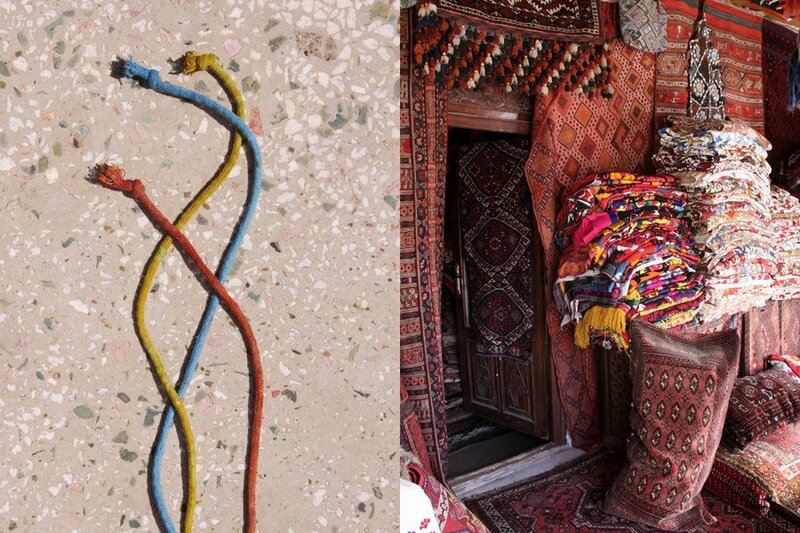 She went to Turkey in search of design ideas for her handwoven jewelry line, LESH, and found inspiration along the way. 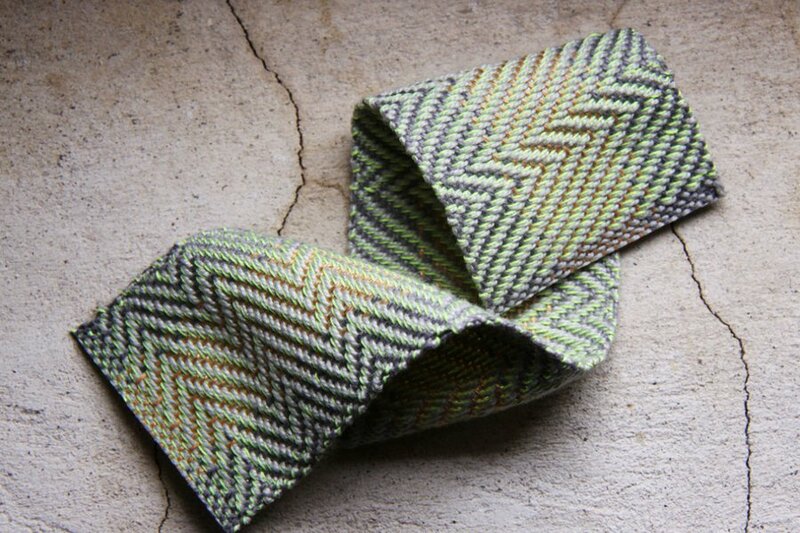 Leave it to a textile creative to weave together work, play, and personal philosophy. 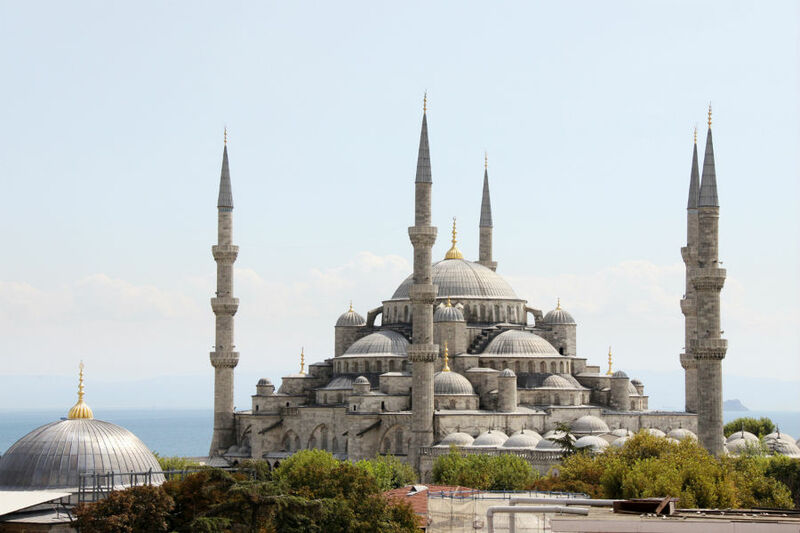 TURKEY – Adventure lured me in. Not that there's ever much resistance. I'm a fiber artist, and I wanted to travel somewhere unfamiliar to cultivate my craft. 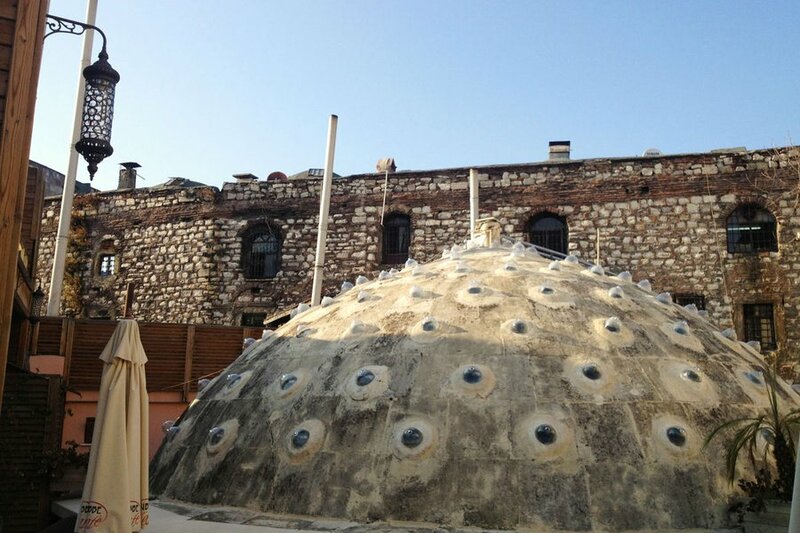 So I submitted my portfolio and proposal for an artist residency in textile design to Babayan Culture House in a small Turkish village in the magical region of Cappadocia. I was thrilled to get in. It was the perfect combination of cultural newness and creative focus. Blue Mosque marks the first stop. It was my first solo trip abroad, the farthest east I'd ever been, to a country where language, religion, and social practices were deeply unlike my own. I was ready to embrace them fully. My first stop, Istanbul! 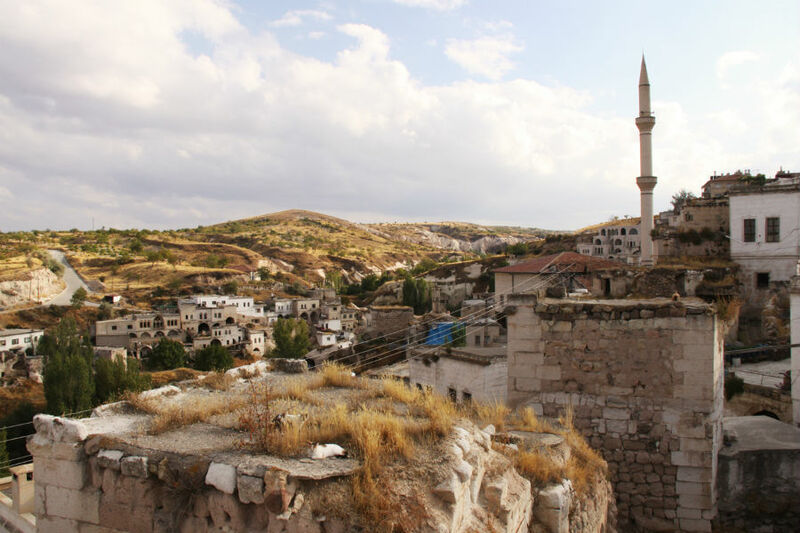 I traveled to Turkey while the United States discussed invading Syria in response to the chemical weapon attacks that devastated Damascus, only a few hours from the Turkish border. And just a few months prior, Turkish citizens started anti-government protests, a movement known as Occupy Gezi, which exploded into a battle between combative police and liberty-seeking protesters. Consequently, there was an interesting energy throughout Istanbul. I explored the city daily, mesmerized by its chaos and history, while locals went about business as usual. There was a trace of unease in the air, but I felt very fortunate to be in Turkey during this historic time. 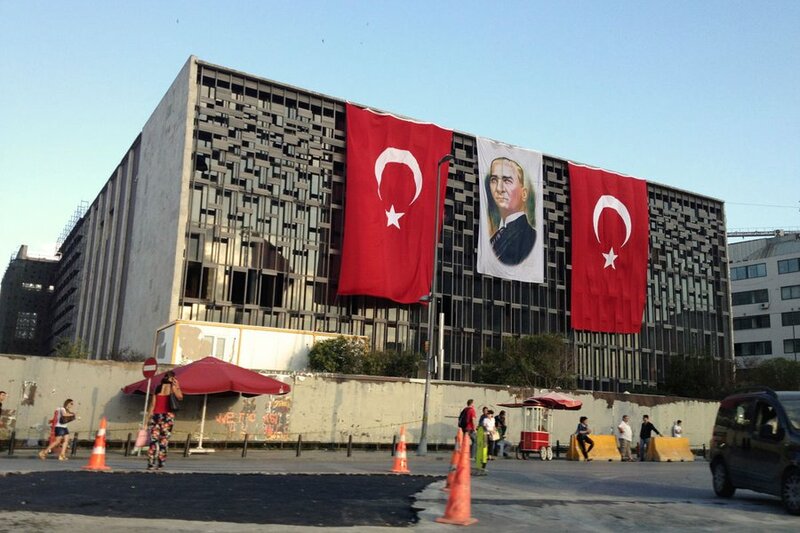 Things remained relatively peaceful during my stay, aside from a few mild clashes that broke out near Taksim Square. I was lucky to have my friend's apartment-turned-art studio all to myself in lively Beyoğlu, an area where many residents live and enjoy an energetic nightlife scene and less touristy crowds. It was a beautiful apartment with a climbing ivy façade and lovely light. And although the nightclub directly below (which catered to Istanbul's underground transvestite community) played music so loud it vibrated the walls till dawn, the apartment's central location, charm, and wonderful hosts made it an incredible stay. 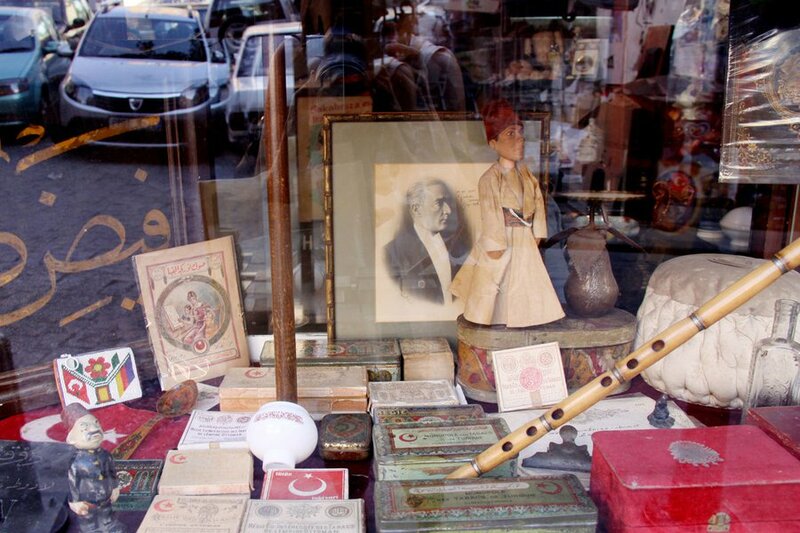 I could walk to nearby Cihangir for dinner at one of its trendy restaurants, or meander down the steep, winding alleyways and window shop for antiques. 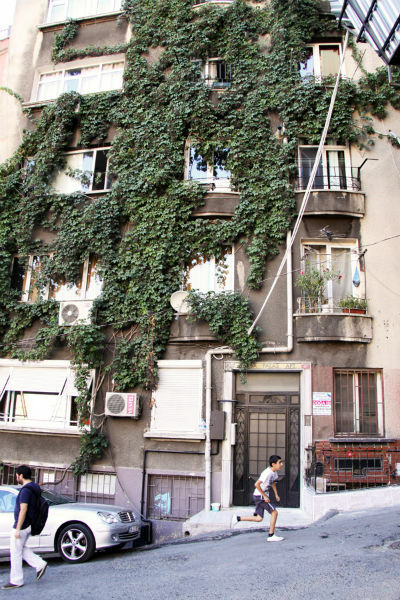 There was always a crowd on nearby İstiklâl Caddesi, which made for fun people watching, but I much preferred wandering the quaint side alleys. It was interesting being a solo female exploring this city. At first it was refreshing being asked to tea by local men, but the one time I accepted, I was soon met with more suggestive invitations. I quickly learned to kindly decline tea offers. There were also times when what I thought were advances were really just friendly salesmen trying to push their carpets. I took it all in stride. After ten wild days spent exploring Istanbul's breathtaking Hagia Sofia and Blue Mosque, taking in the colors of the Grand Bazaar, getting scrubbed raw in a hammam by a stout woman in her underwear, and having my fair share of rakı, the Turkish national drink, it was time to depart for my residency in serene Cappadocia. After a long day of travel, I arrived in the small farming village of Ibrahimpaşa and graciously welcomed a gorgeous stone dwelling as my home for the next month. It took me a week to comprehend the surreal lunar landscape and ancient cave ruins of the region. 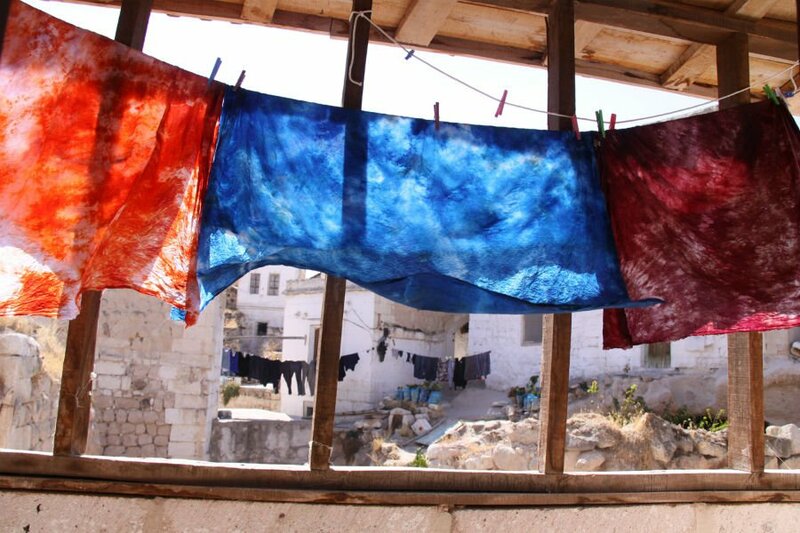 The fresh, dry air made the stone terrace my favorite workspace for weaving and drying hand-dyed materials in the sun. When the air turned chilly, I'd escape to my cave studio below and spend hours at my loom developing new patterns and color schemes. It was the most peaceful, creative environment I could imagine, conducive to unrestricted experimentation that helped elevate my craft. It took a great deal of dedication and support from friends and family to arrive at this point, so I appreciated every moment. Concentrated serenity. 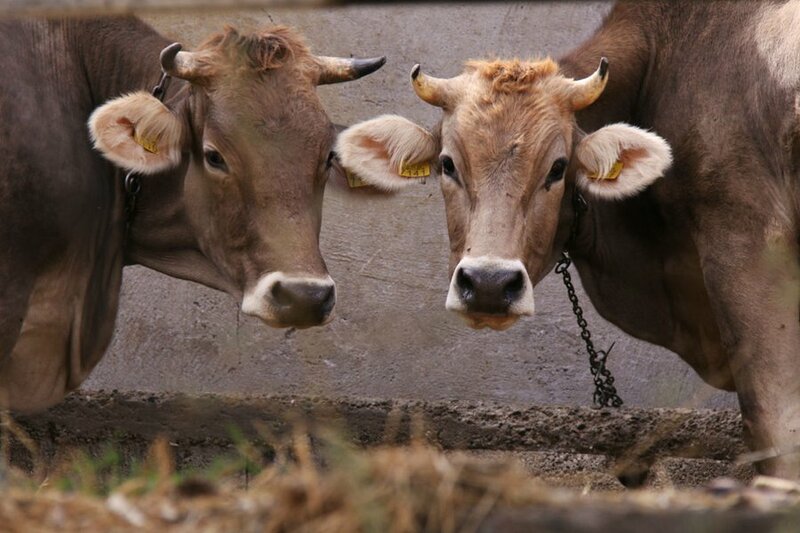 Photo by Willemijn Bouman. Ibrahimpaşa is a quiet, traditional village, charmingly untouched by tourism. I embraced the stark contrast between village life and city life, admiring the simple daily tasks like collecting crops and transporting them via donkey, whose bray was the only sound to break a quiet morning. 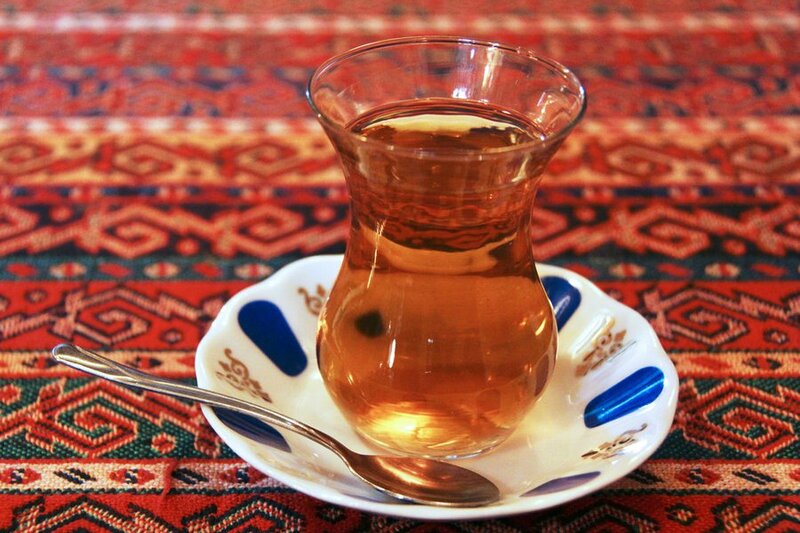 I welcomed the friendly exchanges with locals who helped me improve the little Turkish I knew and mimed conversation with me when all other forms of communication failed. Our engaging (English-speaking) hosts offered not only creative guidance and cultured conversation over delicious meals, but were able to translate for us if needed, leading to fascinating discussions with locals. There were two wonderful artists who also took part in the residency during my stay, and we became fast friends. We spent the majority of our time working independently on our projects, and joined together in the evenings over dinner and Cappadocian wine. 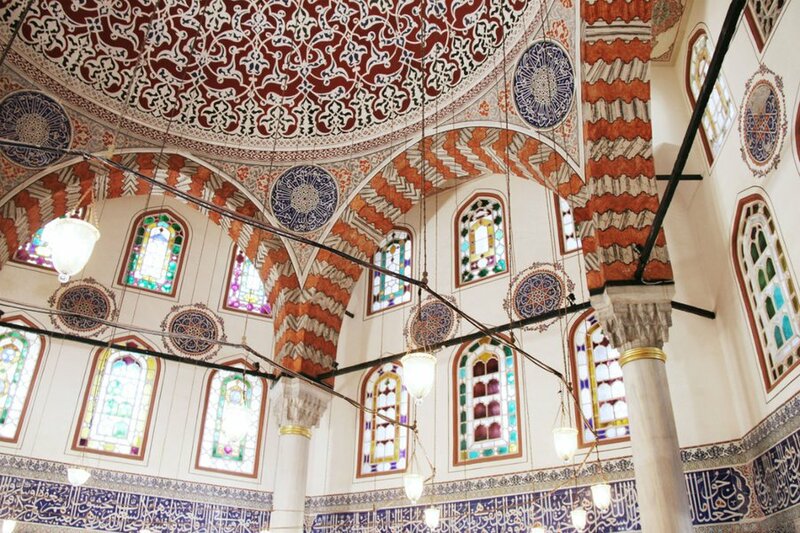 Our days were marked by the call to prayer sung loudly over the intercom from the nearby mosque, a sound that always induced a pause, one I've grown to miss. Our excursions to the surrounding villages were always a highlight, especially to Göreme, where we saw cocoons spun into silk thread, which would then be used to create intricate yet durable rugs. 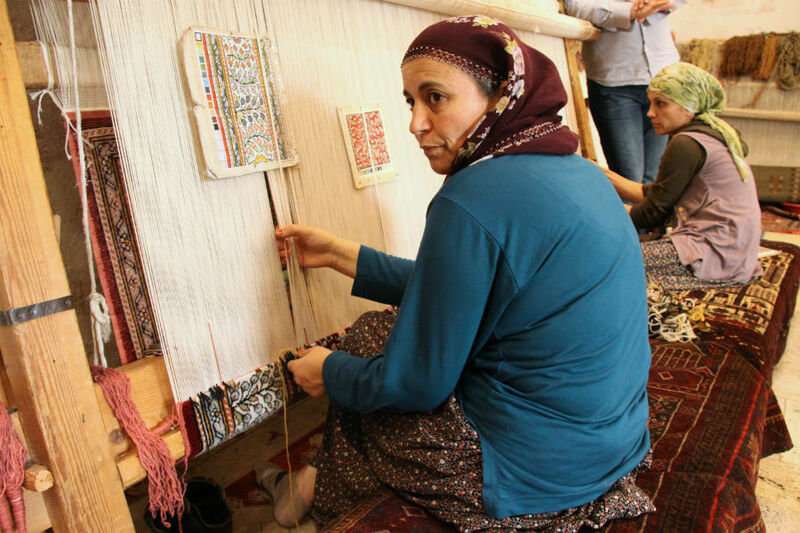 We learned about carpet weaving's vast history in Turkey, and watched the elaborate motifs unfold through hand-knotted wool and silk using a slow and thoughtful technique. Weaving is an art passed down through generations starting at a young age — once a child develops skills, a family will proudly hang their woven pieces outside the home for all the village to see. Embers glow for pekmez next door. On one of our loveliest days, we awoke early to explore the nearby villages after stopping by the home of our neighbors. 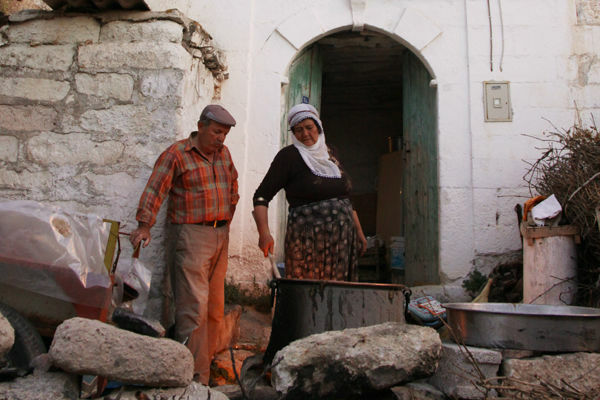 They were boiling down huge pots of freshly harvested grape juice to make pekmez, a delicious molasses cooked for several days with a dash of local volcanic soil. The elder mother of the family made a rare appearance, and asked us if we were all married. When we replied that we were not, she lovingly pulled us to her lap and proceeded to play-whip us with sticks! She offered me her grandson, and we laughed together to mark the beginning of a wonderful day. 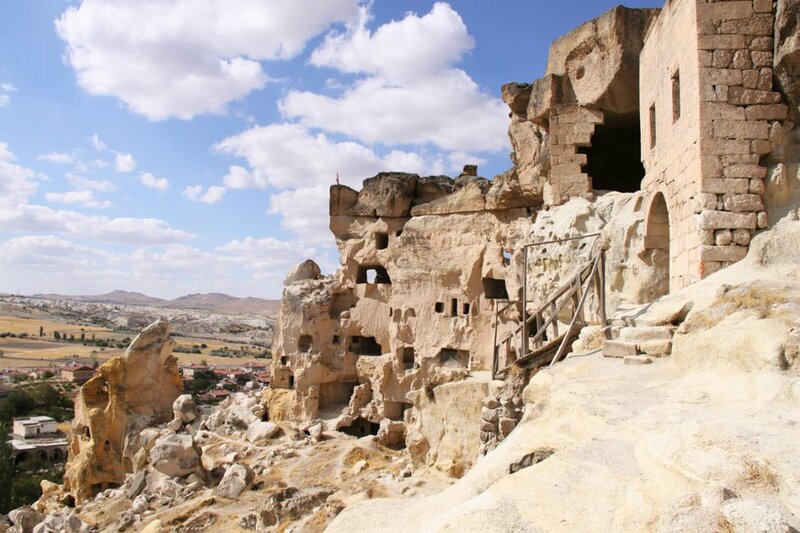 We headed to Uçhisar and drank tea on a kilim (Turkish carpet) covered rooftop gazing up at its rock castle. We visited Chez Galip's expansive pottery studio in Avanos, where celebrated red clay potter Galip Körükçü and his crew attempted to make us masters of the manual pottery wheel. We made a spontaneous stop off in Göreme to visit our new friends at Sultan Carpet, who had just acquired dazzling bridal gowns from Afghanistan. There, we played dress-up with ornamented frocks (each weighing nearly 50 pounds) and broke into a dance! 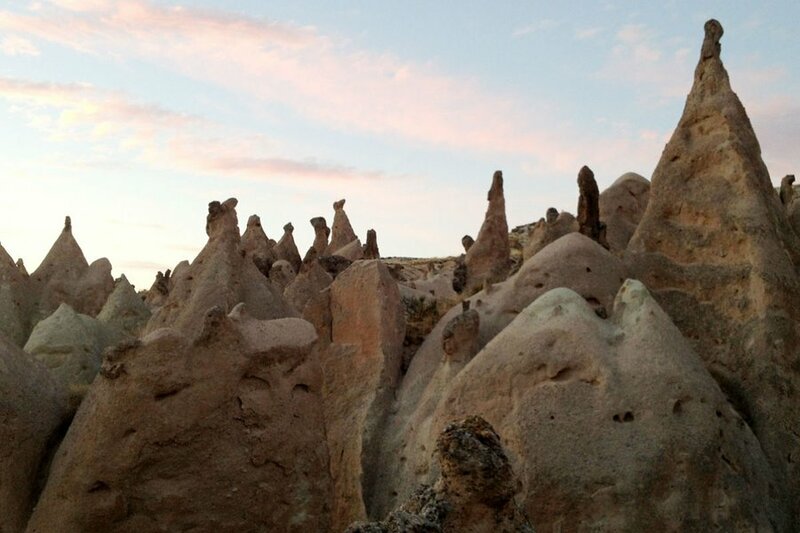 Then we drove to the ethereal Devrent Valley just as the sun retired and hiked the Dr. Seuss-like stone formations, feeling as if we were in the best kind of dream. Embracing the culture and the moment. Photo by Karin Gunnarson. Traveling (mostly) solo in an exceedingly different environment made me quickly learn how capable and resilient people are. Live within a small village community, and you learn what simple and few necessities you really need to have a fulfilling life. This opportunity granted me invaluable, focused time to develop ideas I'd long had, and see them come to fruition. And it gave me a dogged desire to continue my textile practice upon returning home. I strongly suggest every adult puts themselves into a situation where learning a new culture and language makes them feel like a bewildered child again. It can reignite a part of the brain that's been dormant, and remind us that we don't know everything. Nothing is more enlivening than that. 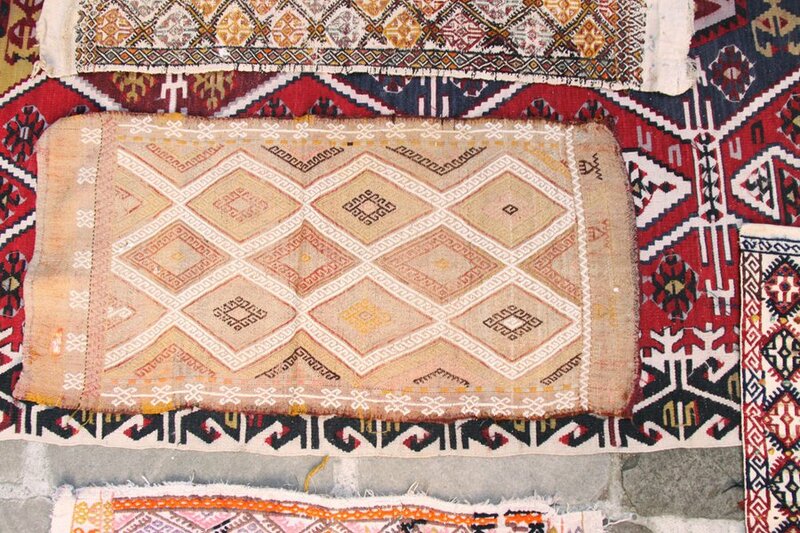 Turkish architecture, animals, and textiles. See the slideshow. To sip solo, with friends, or with gentlemen courters. 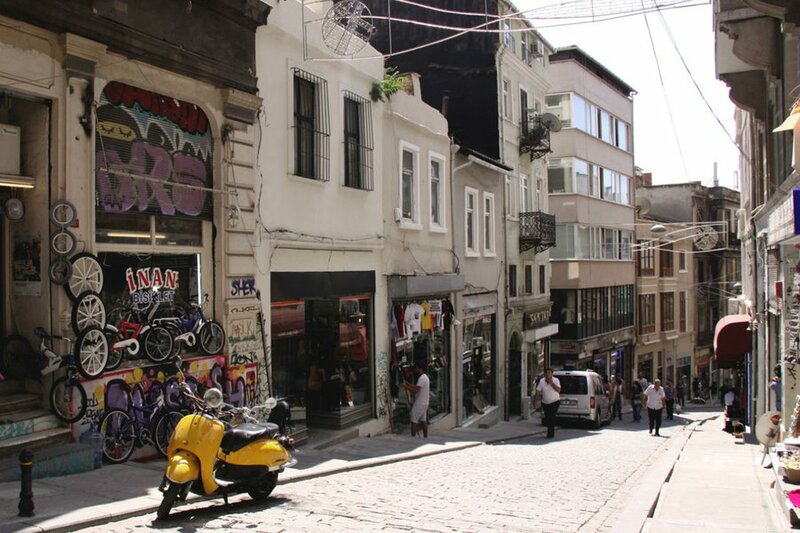 A peek down a street in Karaköy, formerly the old neighborhood of Galata in Beyoğlu. 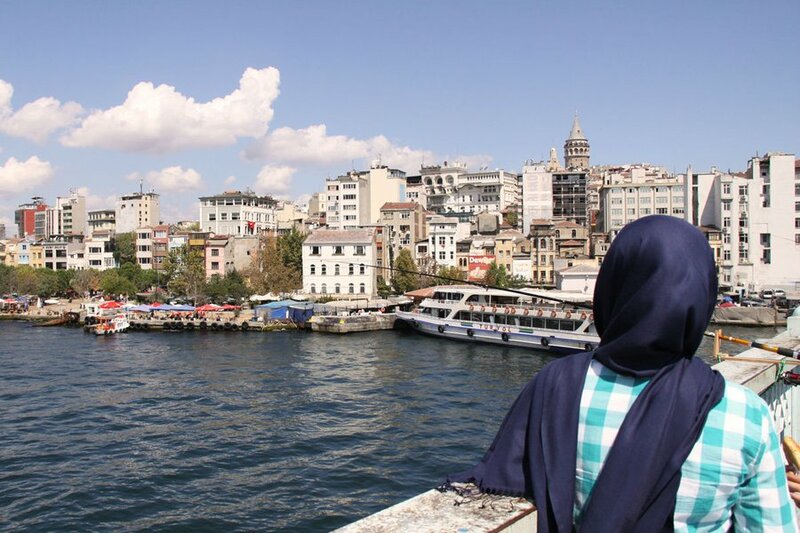 Above the Golden Horn, the major inlet of the Bosphorous in Istanbul. At the heart of Istanbul, and the site of a few minor clashes. Window shopping for old goodies. 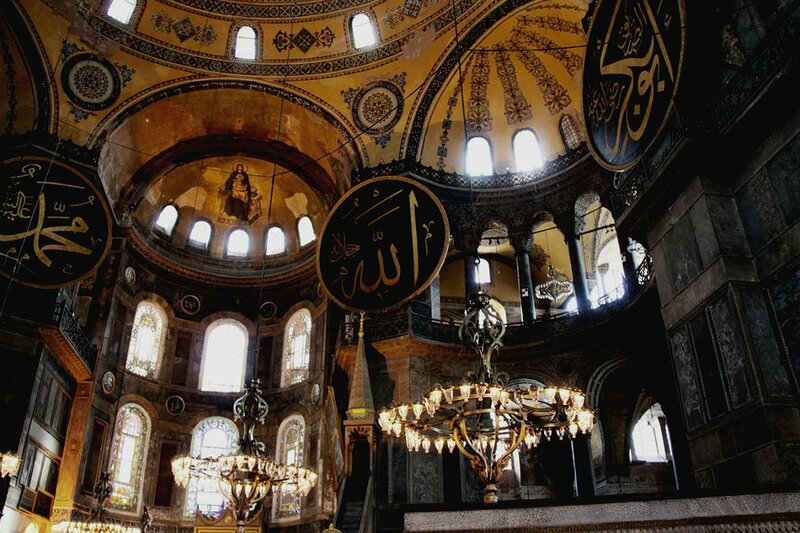 Details inside the Mausoleum of the Sultans at Hagia Sophia. Grand geometry at the storied temple and museum. Hot air, slight pain, and rejuvination inside the hammam. 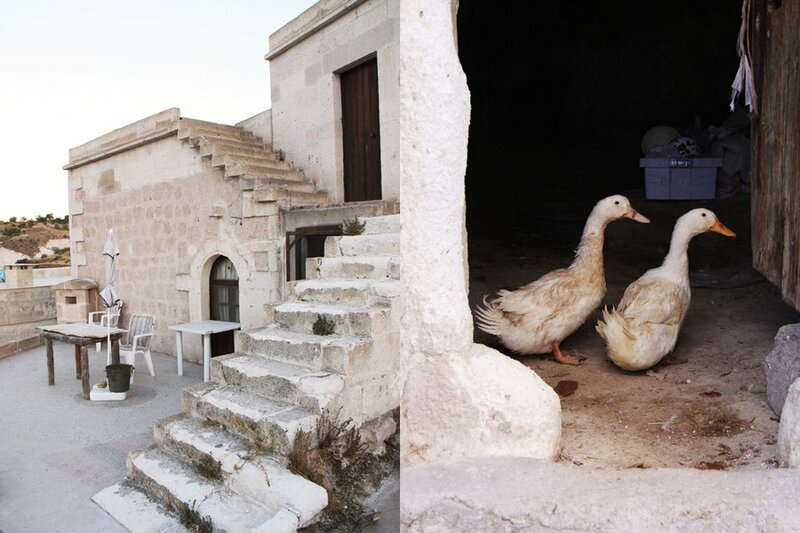 Summer's stone house and neighbors in Ibrahimpaşa. A look inside the sitting room and studio. Samples drying on the line. 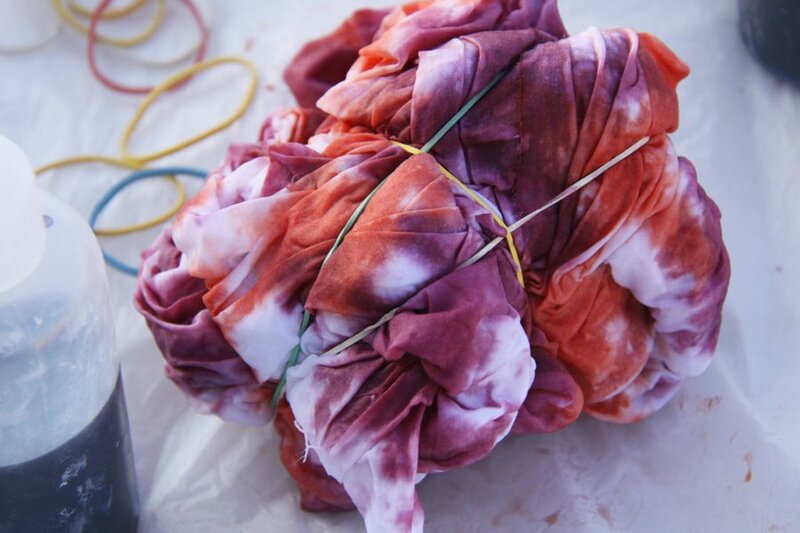 A head scarf in the midst of being dyed. The finished product tried on for size. Hand-dyed string and the selection at the carpet shop in Göreme. A rooftop covered in Turkish carpets in Uçhisar. In the village of Çavuşin in the district of Avanos. Dr. Seuss-like rock formations at sunset. 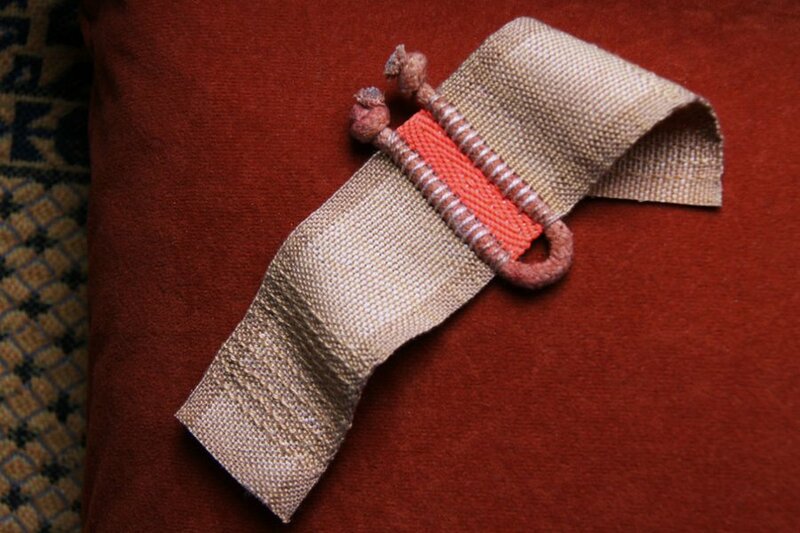 A woven bracelet by the fiber artist. 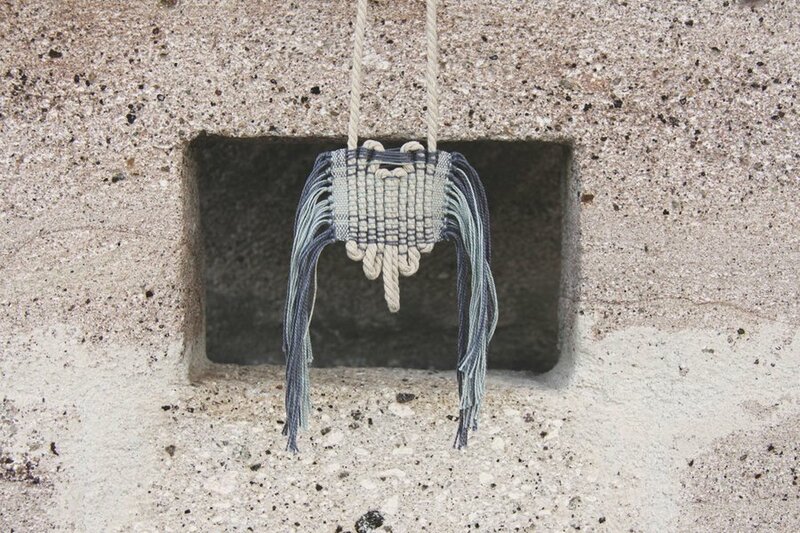 A woven necklace. The results of a technical and cultural learning experience. Summer Moore is a Brooklyn based photographer and textile designer behind LESH, a line of handwoven jewelry inspired by her travels through Peru and Turkey. She travels for the inspiration.